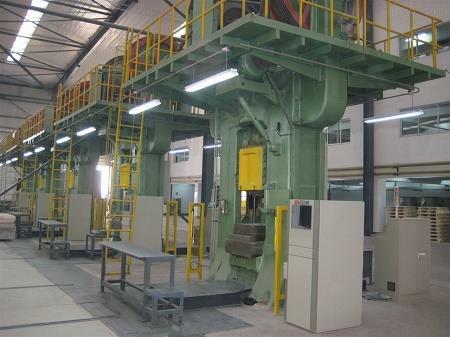 Mechanical Double Disc Friction Screw Press (Pedal Device). 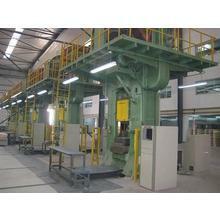 This is the description of Mechanical Double Disc Friction Screw Press (Pedal Device). 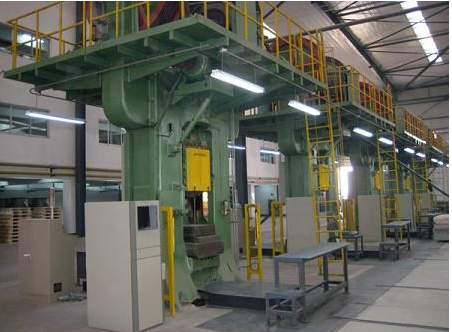 Double disk friction screw press belongs to energy impact forging equipment, divided into electric direct drive and clutch. Amazing energy can be adjusted by computer. Process adaptability. Forging precision and hot die forging press the same accuracy. Fixed bottom dead center, suitable for large and medium-sized production, easy to mechanization and automation, forgings, high dimensional accuracy, environmental pollution. Compared with the hot forging die forging press, the production cycle is short, low operating costs, easy maintenance, high startup rate, investment can be reduced by 30% ~ 40%. The impact energy of the clutch screw press is high, but the transmission structure is complex and it is difficult to realize effective energy-saving full-stroke control. In addition, due to the complexity of the clutch transmission, the need for hydraulic equipment round trip and the installation of complex electrical control system, the life of the screw bearing components have a great impact. 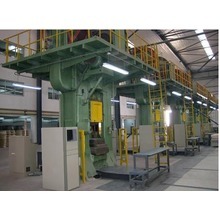 Clutch screw presses have gradually withdraw from the mainstream forging equipment market.